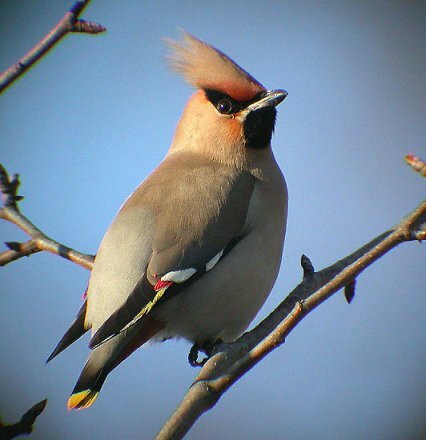 The waxwings form the genus Bombycilla of passerine birds. According to most authorities, this is the only genus placed in the family Bombycillidae. wings. Even the little red waxy tips to the secondaries can often be seen very well. Breeds in coniferous woodland with deep undergrowth. Winters in gardens, parks, hawthorn thickets and hedges. An annual winter visitor to the Britsh Isles in extremely variable numbers. flocks of over 500 birds. 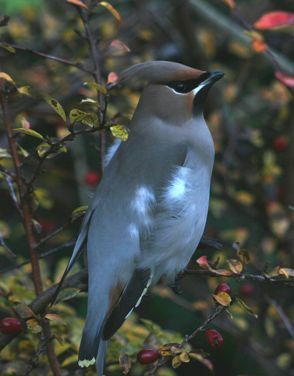 Often found in town centres or suburban gardens where they feed on berry bushes. some years but elusive in others. If you spend a few days in the forests of northern Finland though, from Kuusamo to Karigasniemi, you should at least hear some. 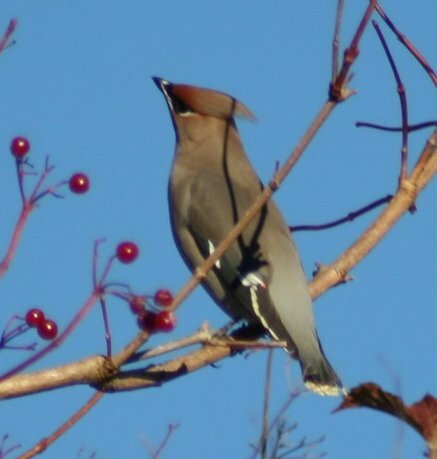 summer there are exceptionally high numbers of Waxwings but small quantities of berries. before moving on to the next town or even the next country. There are between 34,000 and 90,000 breeding pairs in northern Scandinavia. birds. It breeds in open wooded areas in North America, principally southern Canada and the northern United States. beyond, sometimes reaching as far as northern South America. They will move in huge numbers if berry supplies are low. Great Britain. 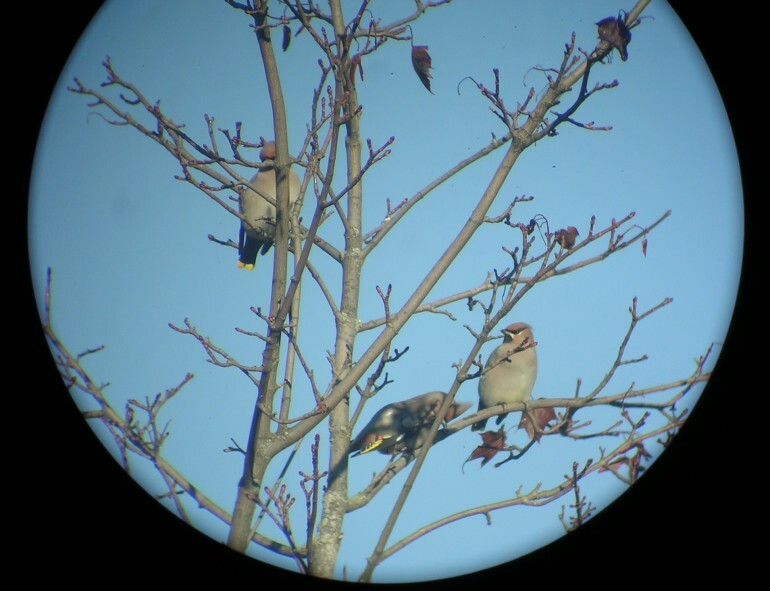 Individual Bohemian Waxwings will occasionally join large winter flocks of Cedar Waxwings. 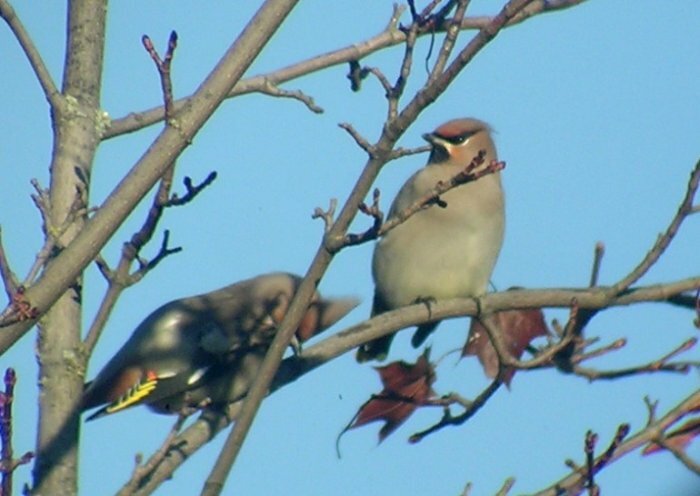 Cedar waxwings fly at 25 miles per hour and fly at an altitude of 2000 ft. 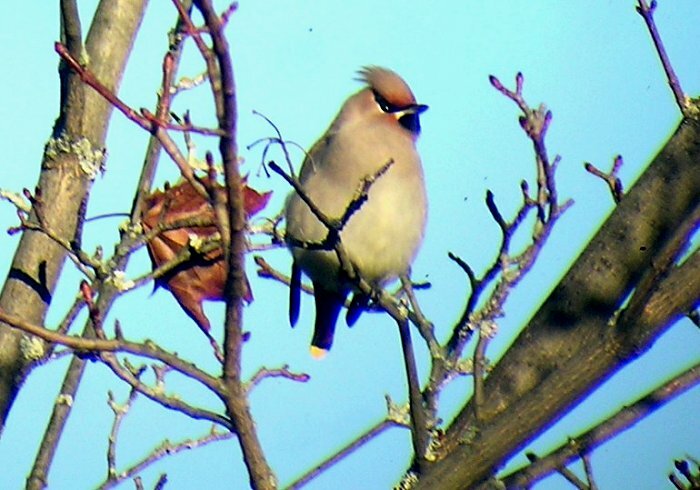 The Japanese Waxwing, Bombycilla japonica, is a fairly small passerine bird of the waxwing family found in north-east Asia. It feeds mainly on fruit and berries but also eats insects during the summer. 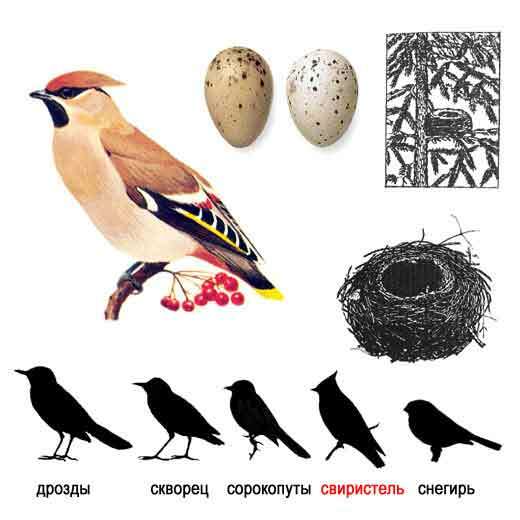 The nest is a cup of twigs lined with grass and moss which is built in a tree. China. It is at some risk of becoming threatened with extinction due to loss and degradation of its forest habitat. woodland or farmland in the lowlands or low mountains and birds frequently visit berry-laden trees in parks and gardens . from captivity than genuinely wild birds.